The PADI Bubblemaker program is for youngster - kids ages 8 - 11. It introduces young adventurers to the thrill of breathing underwater. With a qualified PADI Instructor, and in the convenience of a pool, kids take the plunge to experience another world - the underwater world! Start your young adventurer out on the right fin and let them join in the family fun. WARNING: You may never be happy on dry land again! When you discover scuba diving, you discover excitement and adventure - freedom and serenity. Nothing compares to the "weightless" exhilaration of breathing underwater. Only a diver knows the feeling! To discover scuba diving, follow these three easy steps. First, your instructor provides a brief orientation. Second, you go diving in a confined water area - pool, pool-like beach, etc. There you'll learn to use scuba equipment and get accustomed to your new surroundings. Third, with an instructor, you go on a dive adventure - in the ocean - to get a close-up look at the underwater world. It's an unforgettable experience. And best of all, the skills you acquire during your dive adventures may count toward PADI Scuba Diver and Open Water Diver certifications! You don't have much time, but still want to become a certified diver? The Scuba Diver certification is a pre-entry level certification and qualifies you to dive under the inwater supervision of a PADI Divemaster (or higher rating). I takes you three academic and pool sessions plus two open water dives only to receive your certification! Counts towards the PADI Open Water Diver Course - easy to upgrade to this next level. WARNING: This course may lead to high levels of excitement and adventure! The adventure begins here, with the most popular diving course in the world, where you'll learn real skills for real diving. It's the first level of PADI scuba certification and includes the basics of enjoyable, safe diving taught through academic training and confined and open water practice sessions, all under the guidance of a PADI instructor. Course materials also available on CR-ROM. Is night diving as scary as it sounds? What's it like to dive to 30 meters/100feet? How hard is it to shoot a camera underwater? You get the answers to questions like these by going on PADI Adventure Dives, which introduce you to the basics of special underwater activities. It's a great way to see what interests you, whether it is deep diving, night diving, wreck diving, fish identification, and so on. You don't have much time - no problem - it can all be done on one single day! Here is your chance to sample some of diving's most popular specialties and expand your diving skills. The program's core dives are underwater navigation and deep diving. Additional elective dives might include night diving, search & recovery, multilevel diving, underwater photography, underwater naturalist, or other specialty activities. PADI Advanced Open Water certification requires five dives and may take as little time as one weekend. Focus on the underwater activities that interest you most. Specialty certifications expose you to exciting new skills and environments. Boat Diver, Deep Diver, Enriched Air Diver, Night Diver, Search & Recovery, Underwater Photographer, Wreck Diver, Multilevel Diver are just a few. But sorry guys - no ice diving in Jeddah! Most courses can be completed in a weekend, with emphasis on hands-on learning - that means diving! You cover background materials by doing a bit of reading, watching some exciting and informative videos and discussing concepts in pre-dive briefings. Then you make two to four dives in the activity. It's not a course - but the Discover Local Diving experience provides a single, supervised open-water experience to some place new, with a briefing covering local conditions, hazards and points of interest, as well as an orientation to special procedures and techniques used in the area. Your diving skills got a bit rusty? If you go several months or longer without diving, you'll want to brush up your dive skills and knowledge. After reviewing your academic knowledge you make a confined water dive to put the polish back on your skills. Optionally an open-water dive can be added. 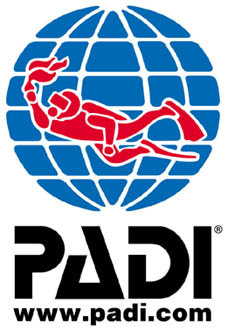 The PADI Rescue Diver course makes the serious subject of accident prevention and management enjoyable and rewarding. It takes your focus beyond yourself and your buddy to make diving saver for others as you learn o recognize and prevent potential diving accidents and how to handle them if they do occur. Though challenging, you don't need to be an athlete - you learn rescue techniques suited to your physical characteristics and fitness level - what works for you. Know what to do when no one else does! For both divers and non-divers, this evolutionary course teaches CPR and first aid, important prerequisites for Rescue Diver certification. Like in the Rescue Diver course, you will learn skills you hope you never need, but will be glad you did if you ever do. The highest nonprofessional rating in recreational diving! This prestigious rating means you've developed skills and experience in a broad number of dive activities and environments. What makes a Master Scuba Diver? Earn the PADI Advanced Open Water Diver, the PADI Rescue Diver and five PADI Specialty Diver certifications. If your love of diving interests you in a full- or part-time dive career, this is your first step on the professional path. Divemaster training develops your diving leadership abilities by expanding your knowledge to a professional level, and by training you to supervise diving activities and assist with divers in training. Get prepared for instructor training! Valuable preparation for PADI instructor training, the Assistant Instructor course provides hands-on teaching experience, all under the direct supervision of a PADI instructor.